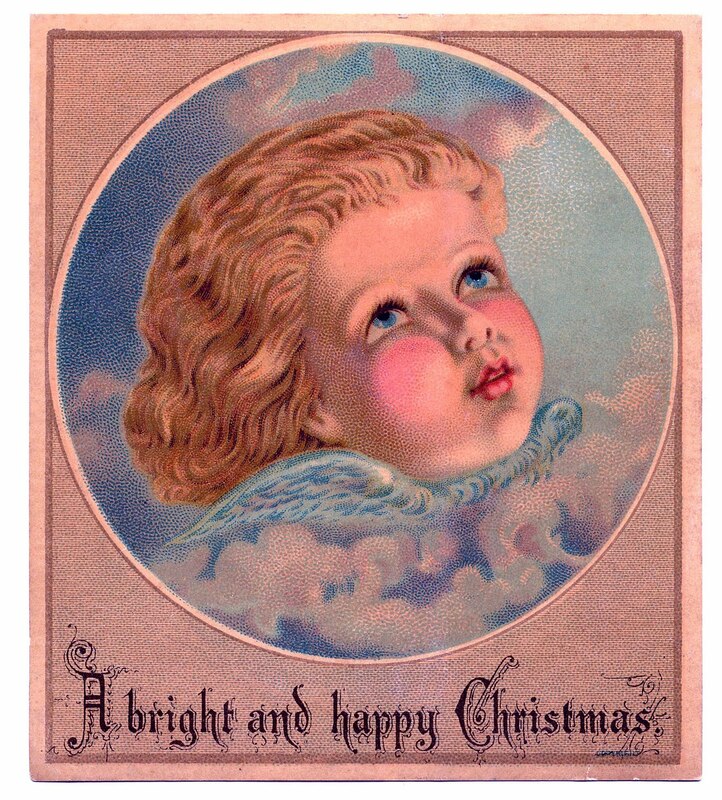 This lovely Victorian Christmas card is part of a set, you may recall the similar looking Angel image that I posted HERE, last week. 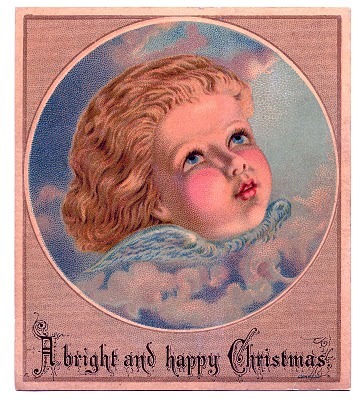 This beautiful Cherub graphic is in better condition, then the first one. What a sweet face! 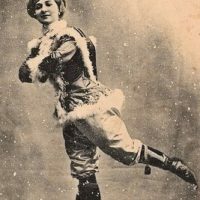 Vintage Clip Art – Ice Skating Lady Vintage Images – Cute Elf Clowns Old Photo – Cutest Fairy Princess Ever! 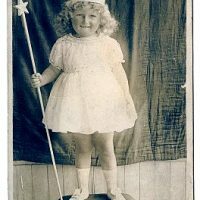 What a sweet little cherub! Thank you for sharing. really beautiful! thank you for sharing!